The question to ask yourself isn’t what you do – the question to ask yourself is why you do it. Once you know your why, then all you need to do is have the courage to create your life around it. What really turns your crank? In a perfect world what would you really love to be doing? What would it take for you to develop a career around it? What things need to fall into place for you to live a purposeful life – a life of purpose? Not sure what you were meant to be – what you were meant to do? For the next two weeks I want you to write down what you are doing when you catch yourself smiling for no particular reason. Every time you catch yourself smiling or whistling a song, write down what you where doing at that very moment. After your two weeks are up look over your list. Do you see a pattern? You should be able to connect the dots and see the common denominator. It will reveal what you are truly meant to be doing. I truly love what I do. I can’t see myself doing anything else. You have within you the ability to do the same thing. You just need to decide what it is – and then put a plan together to get there. I know I make it sound simple – but it really is. All you need to do is to get out of your own way by believing you can live the life you are intended to live. Wake up every morning with your goal in mind. Do one thing, no matter how small, that is going to move you forward to your goal. Be patient – slow and steady eventually will win the race. 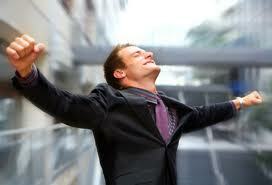 “A good goal is like a strenuous exercise – it suppose to make you stretch” – Mary Kay. Personal growth happens just outside your comfort zone. When was the last time you tried something you’ve never done before? Are you guilty of letting your fear of failing hold you back? Setting and achieving your goals doesn’t happen by chance – it should be a planned event. If you are mentally and physically capable of accomplishing what you set out to do – then the only thing stopping you is you. There will be roadblocks, detours, and highways under construction along the way, but if you don’t lose sight of where you want to end up, you’ll get there. Here are some basic guidelines on goal setting and performance improvement. Remember that a good goal starts with the end in mind. Once you decide what it is you want to accomplish put a step-by-step plan together to get there. 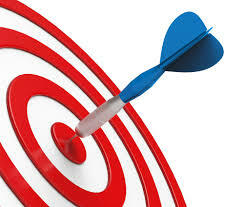 Think of your plan as creating a SMART Target and aim for the bull’s-eye. S – Specific: Write down what you want to accomplish. Don’t generalize. You’ve got to name it to claim it. If you want to lose weight – how much weight do you want to lose? If you want to save some money – how much money do you want to save? If you want to improve your golf game – how many strokes do you want to shave off your average score? M – Measurable: You’ve got to be able to measure your progress. Break your goal down into bite size pieces. Anyone can eat an elephant one bite at a time. What results do you want to see in a week, month or year? If you can’t measure it then don’t do it. Because if you can’t measure it you won’t know if you are working the right plan. A – Attainable: Don’t set yourself up for failure. Don’t commit to completing a task in 20 minutes if you think it might take you 40? If you do that you’re beat before you start. You need to believe that the target can be reached – that you aren’t just wasting your time. R – Realistic: To try to lose 20 pounds in a week might not be healthy or realistic. To loose one pound a week may be more inline. It must be doable or you’ll most likely give up trying or not even bother trying at all. T – Time-Based: An expected date of completion is a great motivator. It helps you create a sense of urgency. Don’t sell yourself short here. Add in some extra time to compensate for those roadblocks, detours, and highways under construction that you may bump into along the way. Be sure to commit your plan to writing. It will give you something to refer back to as you monitor your progress. Give your written plan the same status that you’d give any contractual agreement. Honor your commitments and never ever give up. “Only those who fail greatly can ever achieve greatly” – Robert Kennedy. If you aren’t failing you aren’t trying hard enough. Banish the word passionate from your bio. Being passionate should be a given. If you aren’t passionate about what you are doing then why bother doing it at all? Being passionate about what you are doing is a pre-resiquent to your overall success. However, being passionate is never enough. Being passionate about helping others to be successful, to achieve more, to do more or be more will only get you so far. It’s the same as having a goal but not bothering to put a plan together to achieve it. If you have to tell someone you’re passionate about something then it’s obvious you’re not. Passionate people get into the game – they don’t sit on the sidelines and watch the world go by. Unless you are willing to take the next step you’re no different then a monday morning quarterback. You talk a good talk but you fall short on doing the walk. It’s time to stop talking about it and time to start doing something about it.